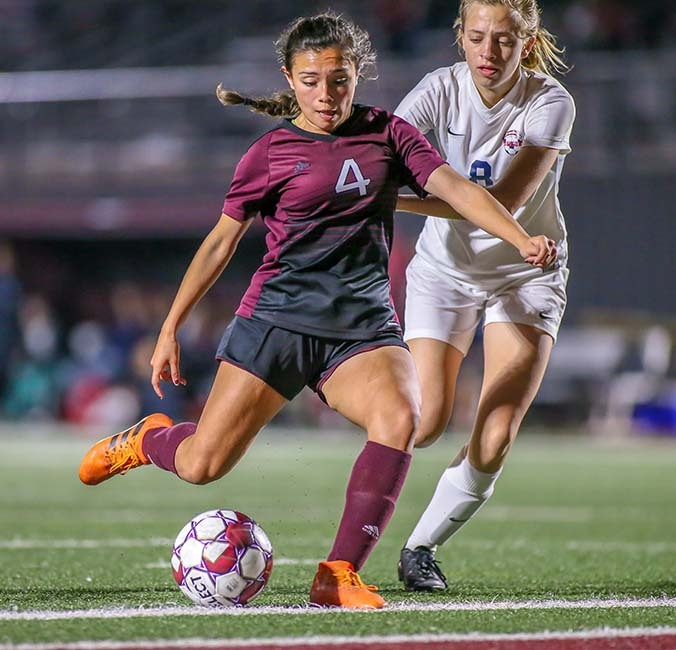 GOAL - Lady Oilers junior midfielder Isabella Dollagaray (4) scores a goal while being challenged by Dawson defender Brook Farris (8). 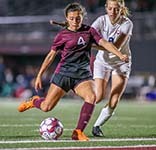 PEARLAND — Lady Oilers junior midfielder Isabella Dollagaray (4) scores a goal while being challenged by Dawson defender Brook Farris (8). The Lady Oilers currently sit in a three-way tie for first place in District 23-6A. With two games upcoming on the road, the Lady Oilers will next be at home versus George Ranch on Tuesday, February 19 at 7:00 p.m.